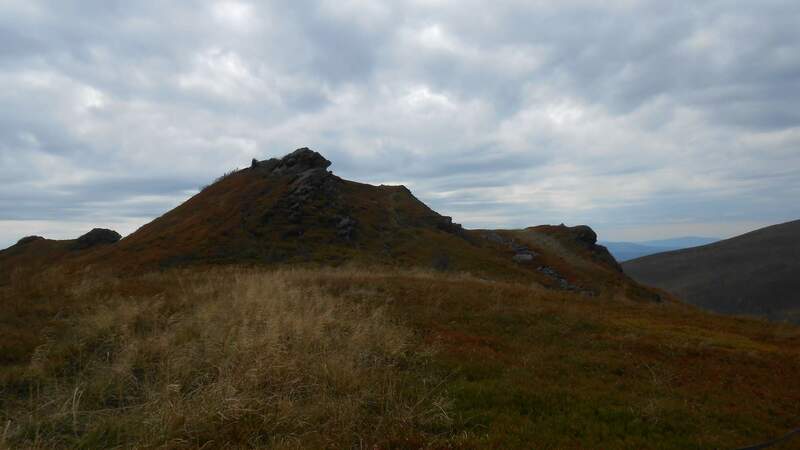 Fourth and last day of the early autumn travel, the hike on Tarnica, largest peak of the Polish side. Weather was not to be as close to flawless as the previous day, but it was to be good and I was excitedly waiting for the last hike before departure. We did not start the hike right away, instead first having a short stop at a place where they are keeping several European bisons (Bison bonasus). After this short stop, we were taken to the starting point and just as the previous days, ascended through the woods. In shorter time than I’d expect, we reached the grassy peaks again and continued on the main ridge in a chain of short descends and ascents. It went quite fast with no one around, even the second fastest group being way behind us, which surprised me. The weather was decent, but cloudy and when the wind came, it was noticeable. Often, I put on my jacket when reaching a peak, only to remove it as son as we were sheltered by the landscape. 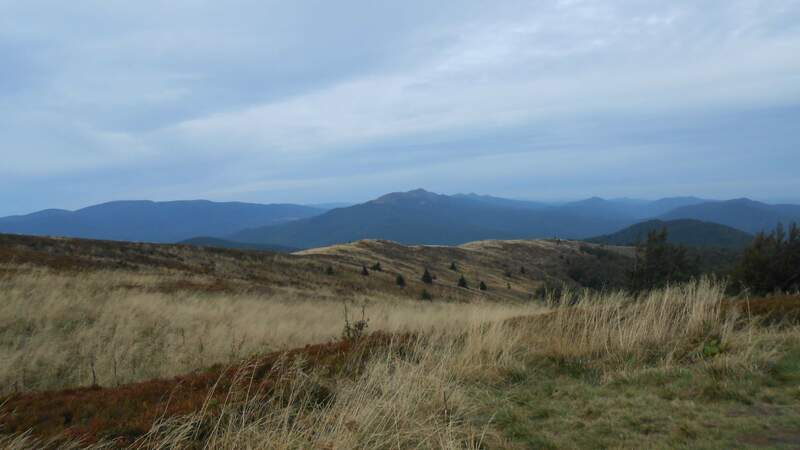 I kept looking around but mostly forwards, to the Tarnica peak that was my goal and the peaks around and including Halicz. Of those we visited in the first half, the nicest was probably Krzemień. Until here, the trail was nice and comfortable, but at thet point it changed. 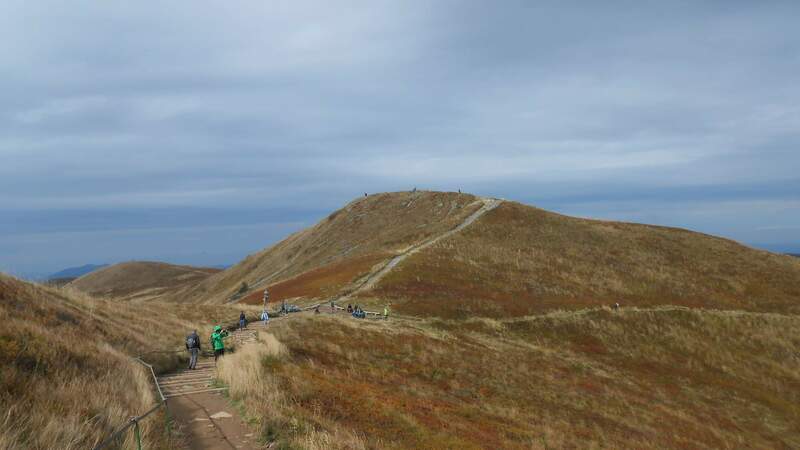 Being quite steep, the grassy plains would become unstable in times of rain or melting snow, and so wooden planks were used to stabilize it, in hopes of creating improvised natural stairs. Unfortunately, it did not work that well. As result, the next maybe two kilometers felt like crossing endless railway station by stepping from one rail to another, as the wooden planks had roughly the same dimensions. 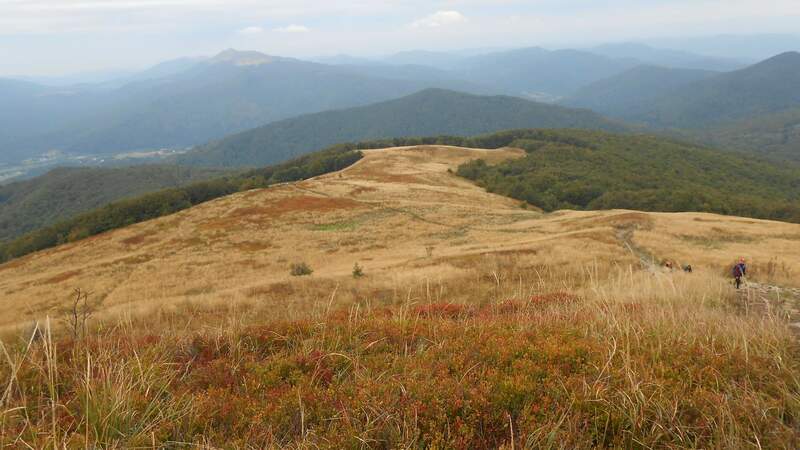 It caused me and the three others that I went with to use mild curses infrequently, but eventually we reached the pass below Tarnica. 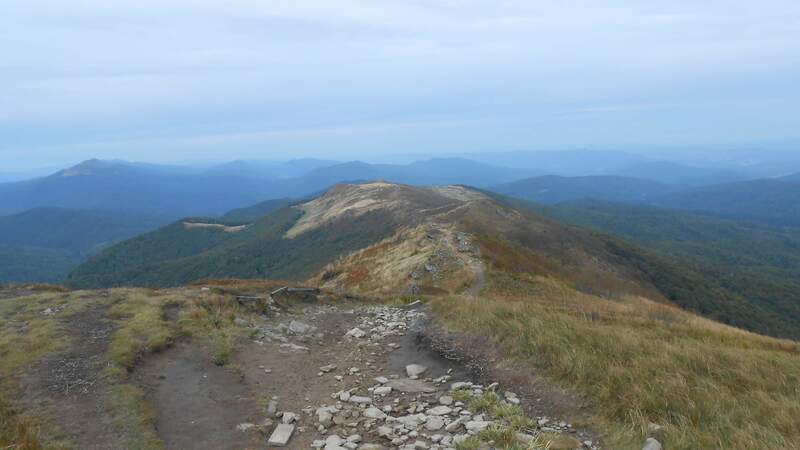 And then ascending the same way to Tarnica itself. 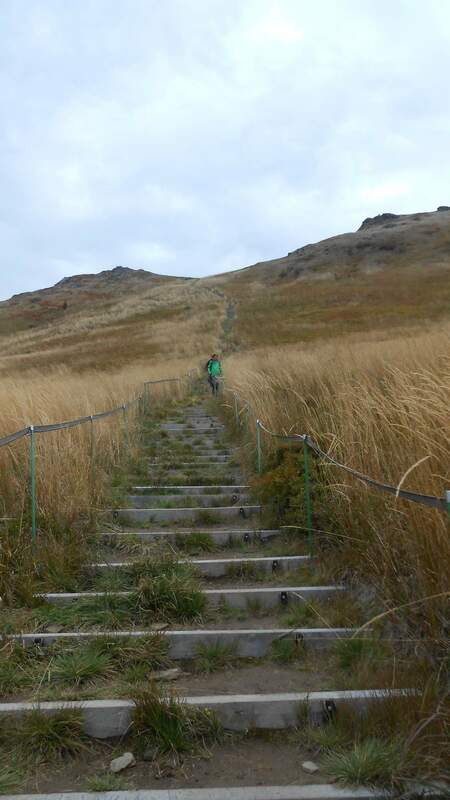 It is slightly less terrible uphill than downhill, but still, these stairs forced certain step length that was most of the time unnatural and inconsistent. We took quite some break at Tarnica and that was where we fractured. Two took the longer route through Halicz, while I with another one headed directly for the village with our hotel even if our reasons varied. 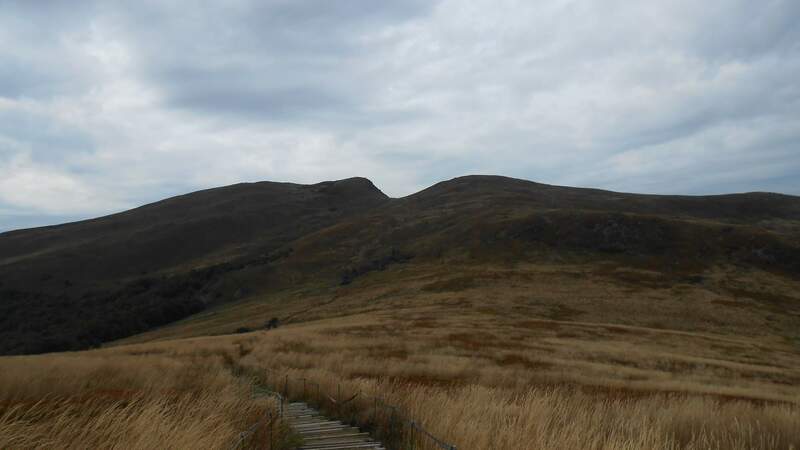 The path was likewise pleasant, again walking though grassy peaks. Even though it might seem that the hikes had the same feeling apart from the first day, for me who is unused to seeing grassy peaks in elevation around 1200-1300 meters, it was unique and charming experience. Especially now that everything was getting into the autumn garb. Same with the deciduous forests when I am used mostly to conifers higher in the peaks.